It's Venus Vs. Madison on July 21 for the Sunday Showdown! Save the date for July 21! 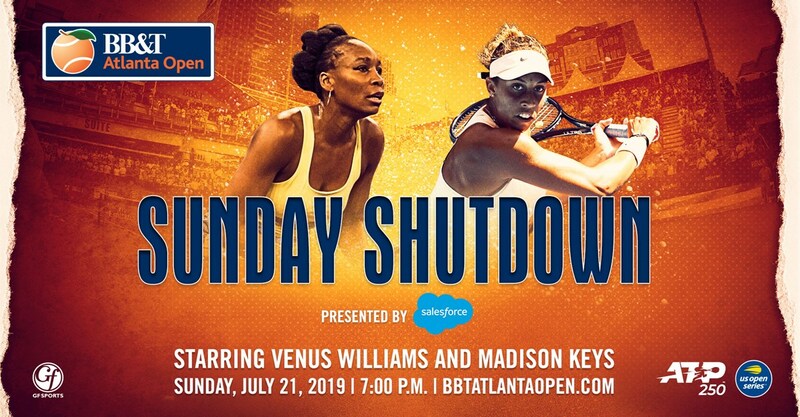 Venus had so much fun in 2017, that she's back for more in 2019 and Madison Keys is joining her for our annual Sunday Showdown. Get your tickets now as this match is always a sellout. Venus is a 7-time singles major champion and owns four Olympic Gold medals. Keys is a 24-year-old from Rock Island, Ill, that has reached a career high of No. 7 in the WTA rankings. She is the 2017 US Open singles finalist and is currently ranked in the top 20.